How can we better incorporate human dimensions into the management of forage fish and their ecosystem? There is an urgent need to generate usable scientific information to meet the needs of ocean managers. Nowhere is more pressing than in the case of forage fish – linchpins for ecosystems, cultures and fisheries. Of key concern is Pacific herring. Herring fisheries have been closed or severely limited through much of their range (Alaska to California) for more than a decade. Recently, some British Columbia stocks have rebuilt to the point where re-opening the fishery is under consideration. However, re-opening proposals are challenged by limited understanding of several critical factors, including physical factors affecting herring productivity, factors contributing to variable natural mortality, herring stock structure and spatial dynamics, impacts of viral and other pathogens, disagreement about harvest control rules, and the lack of a social-ecological framework that would facilitate integration of traditional knowledge and cultural ecosystem services into management. Despite these many shortcomings, a great deal of herring knowledge is available, albeit fragmented among disparate professional and social networks. What is the role of Pacific herring in the social-ecological system, and how can human dimensions be incorporated into herring fisheries management? 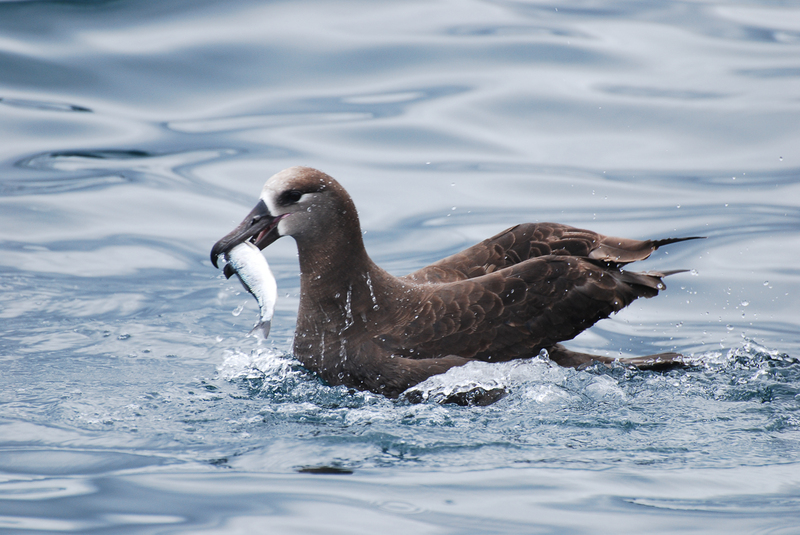 We are engaging social and natural scientists, tribes and First Nations, and federal and state managers, in an effort to integrate models and different forms of knowledge to highlight the role played by herring in the social-ecological system of the Northeastern Pacific Ocean. 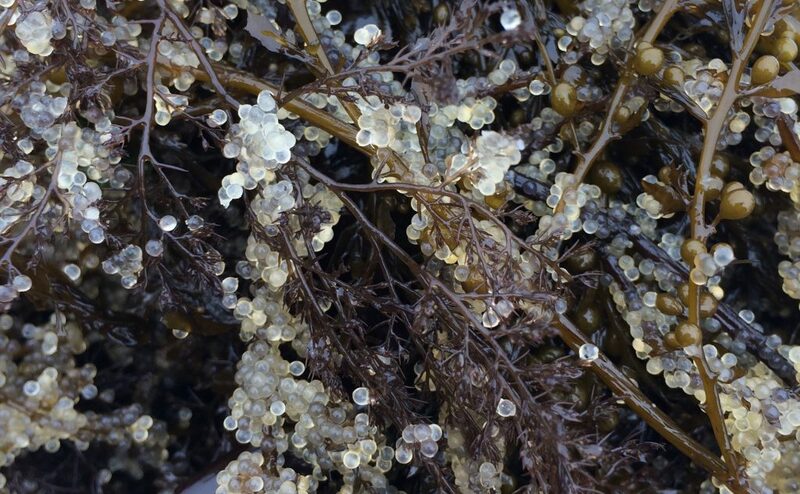 This Working Group will investigate how to use multiple models to incorporate traditional knowledge and human dimensions into the management of the Pacific herring ecosystem. the relationships between herring and predators. Phil is a conservation scientist who is interested in bridging the gaps between theory and practice and between social and natural sciences. The main focus of his current work is developing interdisciplinary tools to inform conservation of marine, aquatic and terrestrial ecosystems and the communities that depend on them. Prior to joining the Nature Conservancy and University of Washington, Phil was a Senior Scientist at NOAA Fisheries’ Northwest Fisheries Science Center in Seattle, WA, USA. He served as the scientific lead of NOAA’s Integrated Ecosystem Assessment efforts in the California Current Large Marine Ecosystem and Puget Sound. In the course of this work, he led the development of new analytical tools for characterizing ecosystem health and forecasting the cumulative effects of coastal zone management and climate change on marine ecosystems. Phil received the Department of Commerce Silver Award and NOAA’s Bronze Medal for his work on marine ecosystems, and the Seattle Aquarium’s Conservation Research Award for his work in Puget Sound. He has published over 150 scientific papers in peer-reviewed journals, book chapters and technical reports, and edited the recent book, “Conservation of the Anthropocene Ocean: interdisciplinary approaches for nature and people”. Phil’s work has been featured in such news outlets as NPR, PBS, the BBC, MSBNC, The Economist, among others. He recently served as President of the Western Society of Naturalists, and served on numerous editorial boards and scientific advisory panels. Phil received his Ph.D. in zoology from the University of New Hampshire in 1993 and was a postdoctoral fellow at the University of North Carolina.In recent years, he have been particularly interested in the social-ecological-systems of temperate rain forests from Washington to Southeast Alaska. André is a Professor in the School of Aquatic and Fishery Sciences at the University Washington, Seattle, USA and the currently the Director of the School. He received his B.Sc, M.Sc and Ph.D. in Applied Mathematics at the University of Cape Town, South Africa. Before joining the University of Washington, Dr Punt was a Principal Research Scientist with the CSIRO Division of Marine and Atmospheric Research in Australia. Dr. Punt has been involved in stock assessment and fisheries management for over 25 years and has been recognized for his contributions in this area with awards from CSIRO, the University of Washington, the Australian Society for Fish Biology, and the American Fisheries Society. 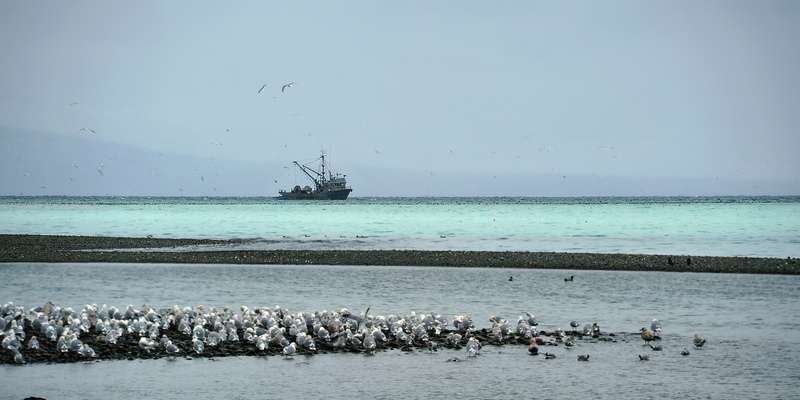 The research undertaken by Dr. Punt and the MPAM (Marine Population and Management) group at the University of Washington relates broadly to the development and application of fisheries stock assessment techniques, bioeconomic modelling, and the evaluation of the performance of stock assessment methods and harvest control rules using the Management Strategy Evaluation approach. Currently, projects that Dr. Punt is undertaking with his research group include integrating genetic methods with traditional fisheries management approaches, assessment and management methods for data-poor methods, and understanding the impact of climate change and environmental variation on the performance of assessment and management methods. Dr. Punt has conducted stock assessments for a wide range of species, ranging from anchovies and sardines, to groundfish, tunas, and cetaceans. Dr. Punt has published over 250 papers in the peer-reviewed literature, along with over 400 technical reports. He was recently a member of a National Research Council panel on evaluating the effectiveness of fish stock rebuilding in the United States. Dr Punt is currently a member of the Scientific and Statistical Committee of the Pacific Fishery Management Council, the advisory committee for Center for the Advancement of Population Assessment Methodology, the Crab Plan Team of the North Pacific Fishery Management Council, and the Scientific Committee of the International Whaling Commission. Dan Okamoto is a quantitative marine ecologist and post-doctoral researcher at Simon Fraser University. Dan studies how interactions within and among species affect fluctuations in demographic rates and population dynamics in space and time, as well as what biases and consequences may ensue when such processes are ignored in management. He combines biological and statistical models with experiments, time-series analysis and surveys in pursuit of these interests. As a post-doc, Dan is integrating metapopulation models and surveys of fishermen to estimate the impact of hypothetical management policies on overfishing risk and the vulnerability of different fisheries participants to those policies. In addition to his work at SFU, Dan has several ongoing projects including investigating what forces shape reef fish population dynamics in time and space and factors that regulate sea urchin reproduction, fertilization dynamics and recruitment in California. Dan has conducted extensive fieldwork in Alaska (where he earned an MS in Fisheries Science), British Columbia, Washington State and California (where he earned his PhD in Ecology, Evolution and Marine Biology from UCSB) and has graduate level quantitative training in statistics and population dynamics from both institutions. Derek Armitage is Associate Professor in the School of Environment, Resources and Sustainability, University of Waterloo, where he leads the Environmental Change and Governance Group (http://ecgg.uwaterloo.ca/). He uses a social-ecological system approach to examine the human dimensions of coastal-marine change. The problem of ‘fit’ is a central interest – how governance systems and institutions (formal, informal) can reflect the dynamics of biophysical systems. His publications have appeared in such journals as Frontiers in Ecology and the Environment, Global Environmental Change, Ecology and Society, and International Journal of the Commons. He is co-editor (with Fikret Berkes and Nancy Doubleday) of ‘Adaptive Co-Management: Collaboration, Learning and Multi-Level Governance’ (UBC Press, 2007) and co-editor (with Ryan Plummer) of ‘Adaptive capacity and Environmental Governance’ (Springer-Velag, 2010). He currently leads working groups in several research partnerships, including the Community Conservation Research Network, the OceanCanada Partnership and the Partnership for Canada-Caribbean Community Climate Change Adaptation. Jaclyn Cleary is the Program Head for the Herring Assessment Program, with Fisheries and Oceans Canada in Nanaimo, BC. Jaclyn oversees the annual herring dive survey and sampling programs, and the provision of science advice for BC herring stocks. Jaclyn has a Master’s degree in Resource and Environmental Management, and she is particularly interested in research approaches that address the interface of science and management (resource use). Jennifer is an Assistant Professor of Environmental Governance in the Department of Geography, University of Guelph. She is a social scientist and has a Ph.D. in Resource and Environmental Management from Simon Fraser University. Jennifer’s research examines the social dynamics, economic drivers, and contested politics of ocean activities and ocean change. Recent publications include pieces regarding shellfish aquaculture regulation and expansion in British Columbia (BC), the treatment of oceans at the 2012 United Nations Conference on Sustainable Development (i.e., Rio+20), and the varied use of the term ‘blue economy’ within international oceans governance circles. Works in progress study overlapping Indigenous and non-Indigenous interests in fisheries (including herring) and ocean spaces in BC, track how the international ‘sustainable development’ agenda has been extending into national and international ocean spaces, and examine representations of nature, gender, and class across print, television, and social media. Jim is the executive director of the TBuck Suzuki Foundation, a fisheries foundation created by fishermen 35 years ago to protect habitat, prevent pollution and promote sustainable fisheries. He has a background in math, physics and philosophy, and a long history in commercial fisheries, most notably in salmon, herring, and longline prawn. He is the co-ordinator for the BC Commercial Fishing Caucus, a leadership group from the BC fishing industry focused on bringing small boat commercial fishing interests into marine planning. The Caucus includes the Fishermen’s Union, the Native Brotherhood of BC, Area A Crab Association, BC Longline Fishermen’s Association, and 9 other fishing organizations. Jim sits on the executive board of the Canadian Independent Fish Harvester’s Federation, an organization built to protect small boat fishermen and coastal community commercial fishing interests. Over the decades he has participated in various fisheries research projects, several over the last five years through the Canadian Fisheries Research Network. Several notable projects: the EBM Roadmap, Economics and Beyond the Value of Fisheries to Community, and the CFRN Comprehensive Fisheries Evaluation Framework. Jim represents the fishing industry in various coastal marine planning forums including the Pacific North Coast Integrated Management Area, the Marine Planning Partnership of the North Pacific, West Coast Aquatic, and various MPA processes. Jim participated in the 2012 and 2014 World Ocean Summits, the 2015 World Seafood Congress, and presented on marine policy and planning at several World Ocean Council summits. Jörn Schmidt studied biology at the University of Hannover, and in 2006 received his doctorate in fisheries biology at the IFM-GEOMAR in Kiel. He’s worked in Kiel’s Department of Economics since 2009, and is the work package leader within several BMBF and EU funded projects. A multidisciplinary specialist, Jörn is currently working in the realm of social- ecological systems and concepts of sustainability in the ocean. This includes questions about transitioning from single to multi-species fisheries management, science communication with stakeholders, the use of games for education and communication (e.g., ‘ecoOcean’), the application of coupled models in developing practical management advice and the use of questionnaire surveys with communities. He is currently German representative in the Science Committee (SCICOM) and member of the Publication Committee (PUBCOM) of the International Council for the Exploration of the Sea (ICES) and co-chair of the Strategic Initiative on the Human Dimension in Integrated Ecosystems (SIHD). He contributes to several Expert Groups within ICES and co-chairs a working group on the coupling of economic and ecological model approaches. He is also in the editorial board of the ICES Journal of Marine Sciences. An ardent fan of all ‘fish’ in the sea, Lynn has logged over 1000 scientific dives in cold water (including many for herring spawn! ), and is currently the marine ecologist for Gwaii Haanas National Park Reserve, National Marine Conservation Area Reserve, and Haida Heritage Site. She is also writing her doctoral thesis that explores ecological interactions, historical ecology, policy and ecosystem-based community management related to northern abalone conservation and sea otter recovery. Lynn lives on a hobby farm in Tlell on Haida Gwaii (HG) with her spouse and son, the dog, a myriad of chickens and a garden. Over 20 years of life and work on the islands have found her engaged in a diversity of marine and land conservation initiatives. A few highlights. Marine biologist planner with the Council of Haida Nation helping to initiate the Haida Gwaii Marine Use Plan and Haida Marine Traditional Knowledge Study, leaving to start a PhD program, then returning to sit on the HG Marine Advisory Committee. Local coordinator for World Wlidlife Fund Canada engaging HG communities in marine conservation (www.marinematters.org), and dive and shellfish biologist for the Haida Fisheries Program. When not engaged in things ecological, you might find Lynn making art or playing music. Melissa Poe is an environmental social scientist at the University of Washington Sea Grant Program and a liaison with NOAA’s Northwest Fisheries Science Center. Melissa earned her masters and doctorate at the University of Washington in environmental anthropology. Melissa draws from interdisciplinary approaches to do applied human dimensions research, including the use of ethnoecology, interviews and focus groups, cultural mapping, institutional analysis, and participatory methodologies. Melissa collaborates on a range of projects in coastal and terrestrial ecosystems on topics spanning from sociocultural dimensions of ecological change and ocean acidification, to integrated cultural and health contexts of traditional and subsistence food systems, to human wellbeing and social justice dimensions of natural resource management. Melissa has conducted extensive fieldwork throughout Pacific North America in marine and terrestrial ecosystems with indigenous and non-indigenous communities. Russ Jones, Nang Jingwas, is a Haida hereditary chief who lives in the village of Skidegate in Haida Gwaii. He has worked for the Council of the Haida Nation in the field of fisheries and marine planning since 1989. He recently coordinated development of the Haida Gwaii Marine Plan that was approved by the Haida Nation and Province of BC in April 2015. In 2004 he served on a three-member First Nation on Fisheries that wrote the report Our Place at the Table: First Nations in the BC Fishery. He is a past commercial fisherman and boat owner and has served as a Commissioner on both the Pacific Salmon Commission and the North Pacific Anadromous Fish Commission. He has written several papers in the areas of marine planning, Haida ethics and values, and co-management. Russ holds a Master of Science in Fisheries from the University of Washington. Sherri is the Statewide Herring Fisheries Scientist for the Alaska Department of Fish and Game in Juneau, Alaska, where she provides statewide oversight on Pacific herring research, stock assessment, and harvest strategies. Sherri is currently a member of the Scientific and Statistical Committee of the North Pacific Fishery Management Council and the advisory committee for the Herring Research and Monitoring Program of the Exxon Valdez Oil Spill Trustee Council. She conducts the annual stock assessment for Sitka Sound herring and is a scientific diver for the Alaska Department of Fish and Game. Prior to working in her statewide role, Sherri served as the Biometrics Supervisor for the Southeast Region. As the Biometrics Supervisor, she oversaw survey designs, sampling plans, and stock assessments for groundfish, herring, salmon, shellfish, and dive fisheries throughout southeast Alaska. She graduated from the University of Alaska Fairbanks with a Ph.D. in Fisheries Oceanography and a M.S. in Statistics and has worked for the Alaska Department of Fish and Game since 2004. Prior to her work at the Alaska Department of Fish and Game, Sherri participated in University research studies around Kodiak Island, in Cook Inlet, and along the Aleutian Islands. Her doctoral research focused on finding ways to incorporate habitat information and error estimates into multispecies survey designs and data analyses for flatfish species near Kodiak Island and in the Bering Sea. Dr. Thornton’s primary teaching and research interests are in human ecology, adaptation, local and traditional ecological knowledge, conservation, coastal and marine environments, conceptualizations of space and place, and the political ecology of resource management among the indigenous peoples of North America and the circumpolar North. As director for the MSc in Environmental Change and Management, Dr. Thornton oversee the course and teach various options and modules. In addition, he is a senior research fellow at the Enivronmental Change Institute at Oxford University. His academic training is in social and cultural anthropology (BA Swarthmore College; MA, PhD University of Washington). Before going to Oxford in 2008, he taught at Portland State University, Trinity College, Saint Lawrence University, the University of Alaska, and Beijing Normal University (Fulbright Lectureship). Dr. Thornton has also worked in government as an environmental resource specialist and as a consultant to Native American tribes.